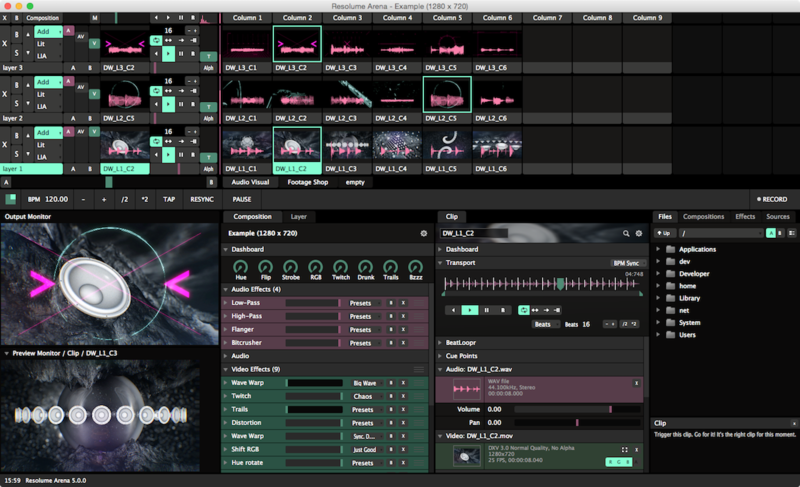 Resolume Arena 6.1 – A live video performances tool and a media server. Resolume 6 comes in 2 editions. Avenue is the VJ software you know and love, Arena has all the features of Avenue plus features you’d expect from a media server, soft edging, screen warping, DMX input and SMPTE timecode input. Resolume Avenue can play multiple layers of full HD without skipping a beat and it can handle multiple live inputs to make it a virtual video mixing desk. Next story Lingvo Dictionary 1.10.0 – Multilingual dictionary for reading and writing in 7 languages. Previous story iNet Network Scanner 2.6 – Displays info about local network connections. Magic Media Marker 2.6.7 – Automate video file processing. iFFmpeg 5.2.3 – nvert multimedia files between formats.